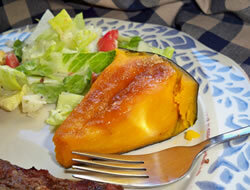 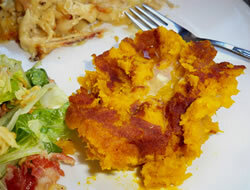 An older variety of winter squash not commonly found because it is grown from heirloom seeds. 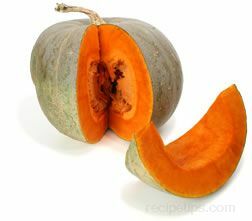 Large and pumpkin-like in appearance with a round shape and flat outer ribs, this squash will grow to a weight of 20 to 25 pounds at maturity. 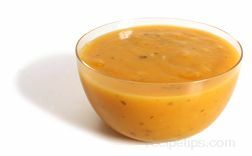 The outer skin may be green, salmon-orange, or off-white in color, while the meat is pale to bright orange and somewhat dense in texture. 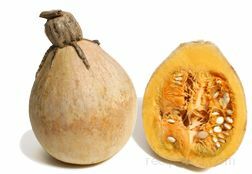 Iran squash can be prepared like other winter squash that is cut into quarter or half-quarter slices and baked in an oven or microwave.